Do you feel that you are being discriminated by your employer because you have a disability? Are you a disabled employee who can perform the essential functions of your job if your employer would provide you with a reasonable accommodation? Is your employer retaliating against you because you are disabled or opposed issues of disability discrimination at your workplace? If the answer to any of these questions is yes, your employer may be in violation of the Americans with Disabilities Act (“ADA”). The ADA provides legal protections to disabled individuals who have the ability to perform their job duties with or without a reasonable accommodation. In order to be considered disabled under the ADA, an individual must show that they unable to perform “major life activities.” Major life activities consist of manual tasks, physical health (breathing, speaking, walking, learning, and hearing), and impairment (any physical disorder). Physical impairments are defined as any condition relating to neurological, cardiovascular, or special sense organs. 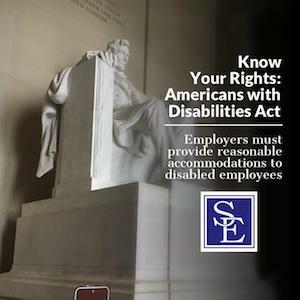 In order to have a claim for disability discrimination under the ADA, the employee must prove that: 1) he or she is disabled under the context of the ADA; 2) he or she has the ability to perform their job functions with or without a reasonable accommodation; and 3) he or she has sustained employment due to his or her disability. 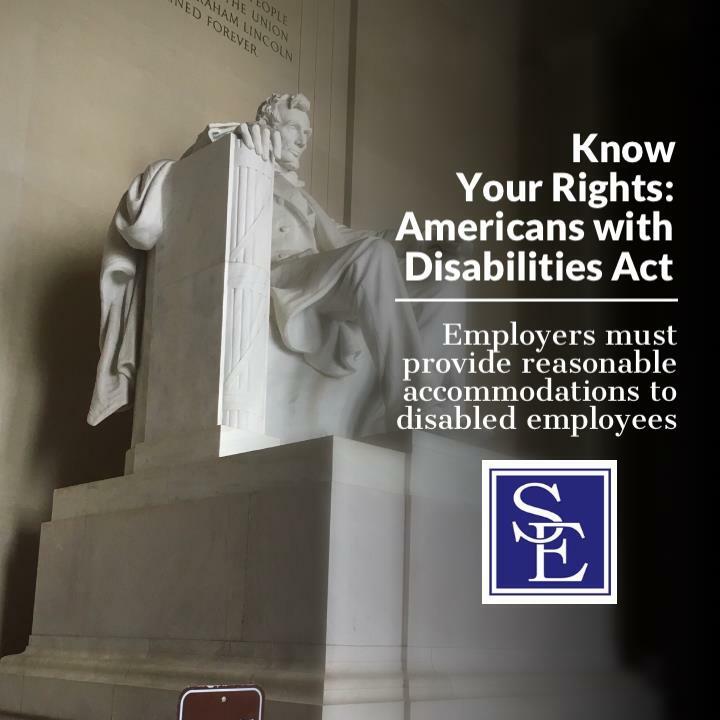 The ADA requires that employers provide reasonable accommodations to disabled employees. Employers are not required to provide accommodations that would constitute an undue hardship on their business operations. Cases under the ADA are very fact specific for these reasons. If you believe your employer is violating the ADA, please contact our office to speak with one of our New Jersey employment attorneys about the facts of your situation.